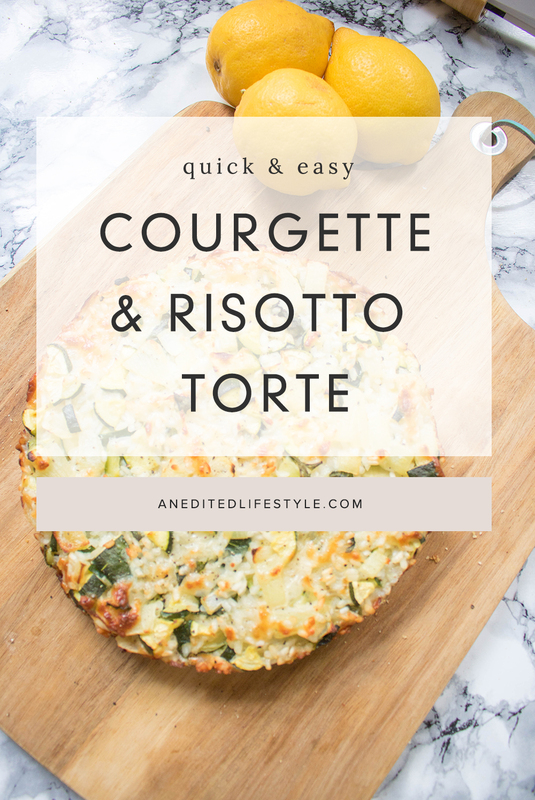 If you were a fan of my tomato tart recipe, then you’re going to be obsessed with this courgette risotto torte. 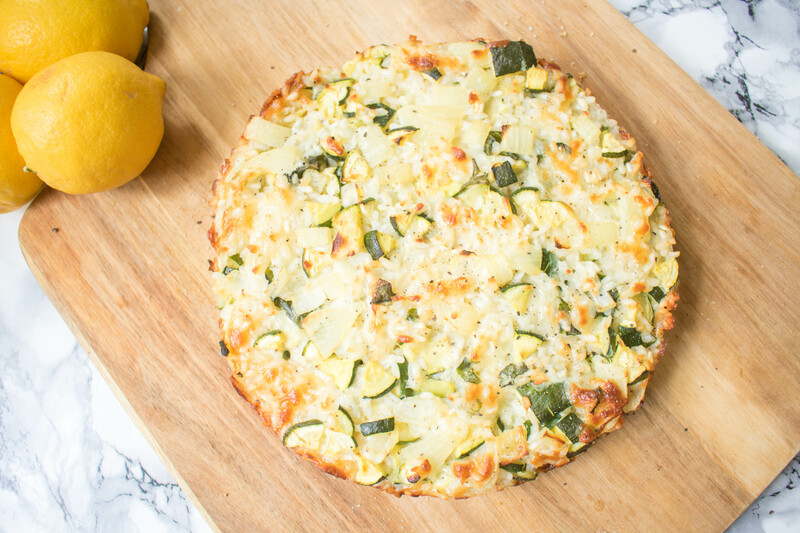 I’m naming this a vegetarian Easter recipe because it’s definitely a Spring meal. It is also great for Easter Sunday. 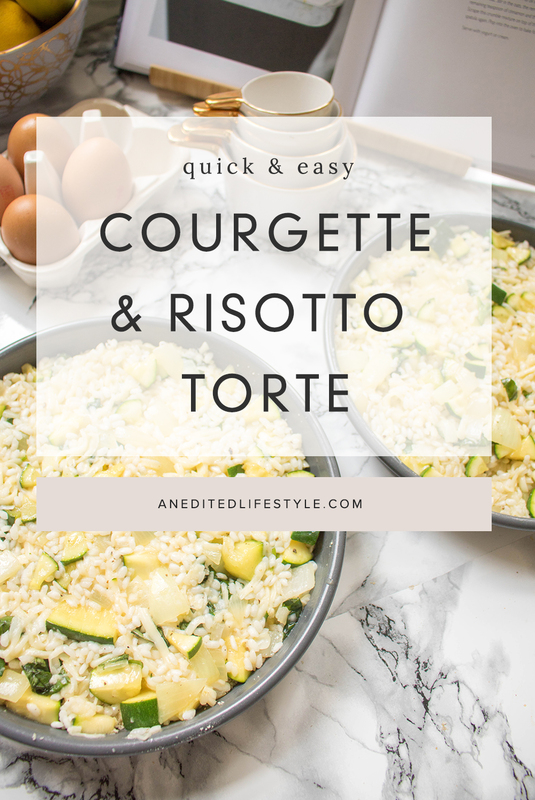 It’s quick and simple and goes great with a salad or veggies. So you can be cooking a roast and have this as an option for the non-meat eaters. Meat-eaters will also enjoy this, Lee thoroughly enjoyed this dish for dinner and for lunch too. Preheat the oven to 200C. Grease your cake tin (mine are 20cm each) with butter and sprinkle the breadcrumbs over the base. Top tip here- stick to the measurements here. I thought we were creating a tart base and sprinkled a load here. What I realised once cooked was that the breadcrumb didn’t cook because it was too thick. The torte was fine, but breadcrumbs went everywhere! So keep in thin and you’ll be fine. 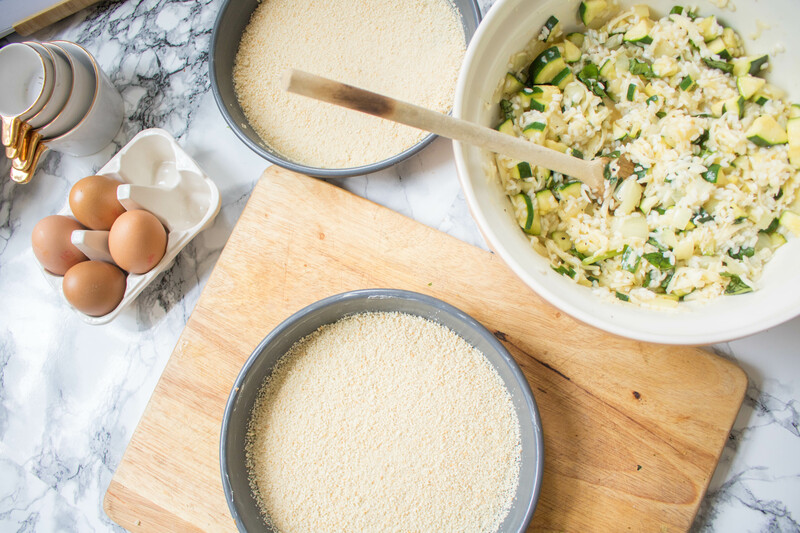 Place your risotto rice into a pan and cook according to the instructions. Mine took about 10 minutes to cook. In a large frying pan, melt the butter over medium heat. Chop the onion and add to the saucepan. Allow them to cook until softened. Chop the garlic and add this to the pan, cooking for a minute. 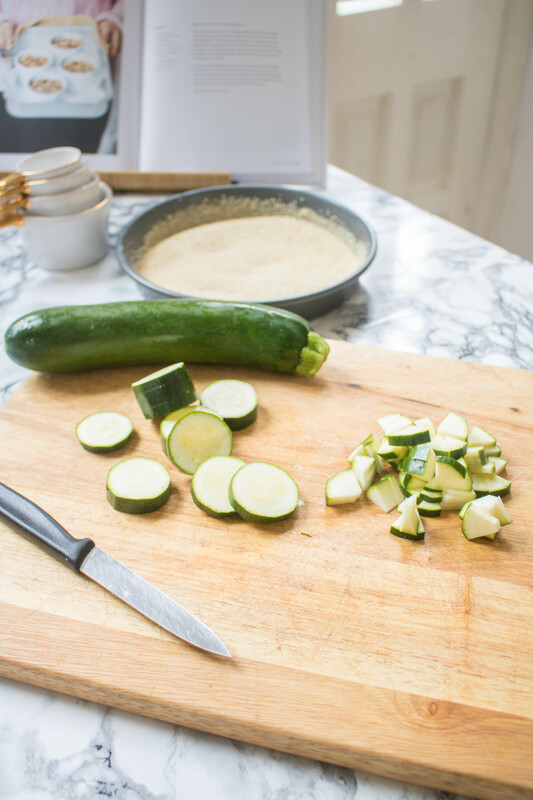 Chop the courgettes into small chunks and add to the pan. Cook for 10 minutes and then transfer to a large bowl. 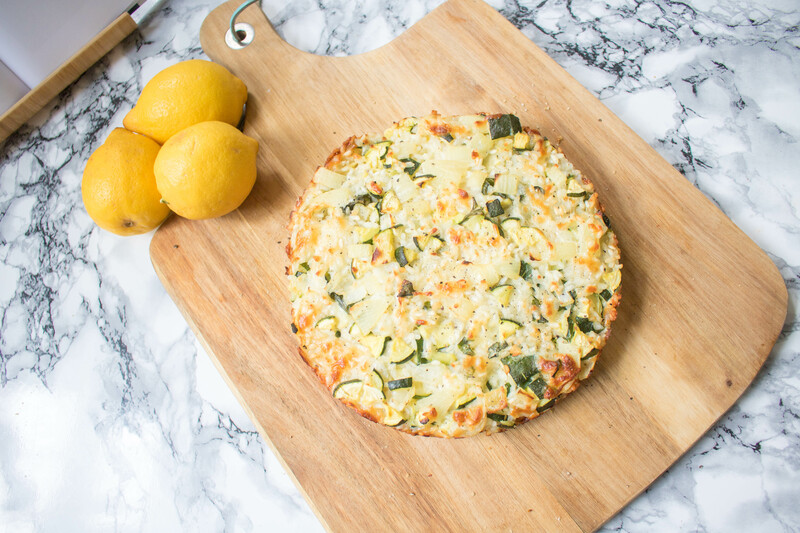 Grate the parmesan and chop the basil. 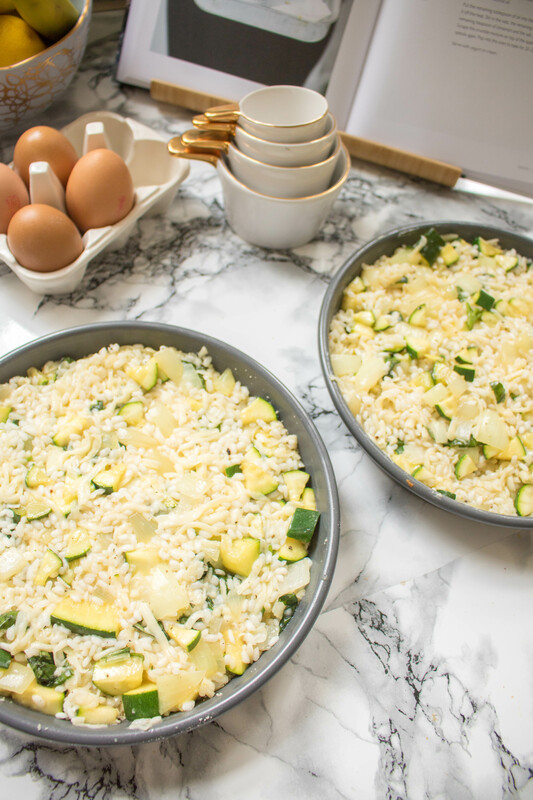 Stir in the rice, eggs, parmesan, mozzarella and chopped basil. Spoon the mixture into the tins and press the mixture down firmly. Place into the oven and bake for 25 minutes until set, golden and a little crispy on top. 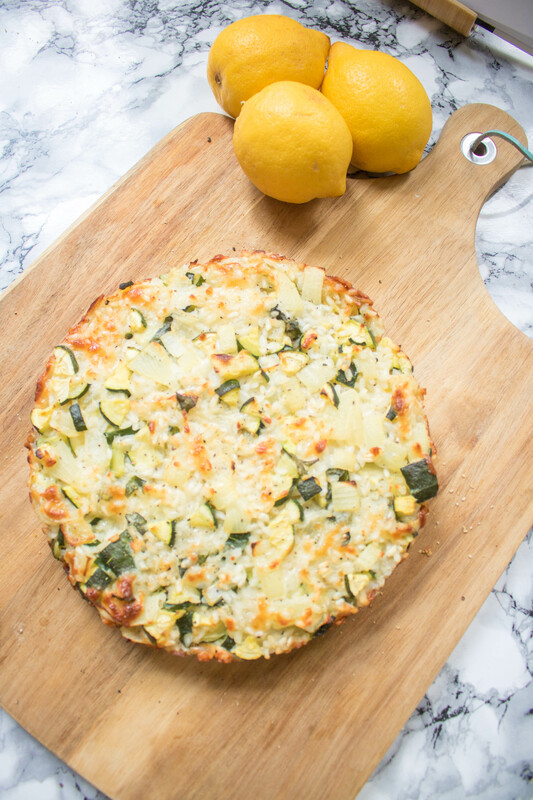 Serve with extra basil and either a side salad or veggies.